Earlier today, we shared a gallery of screenshots for Super Smash Bros Ultimate for Nintendo Switch. Well you lucky guys and girls are in for another treat as we now have some official Super Smash Bros Ultimate artwork to share with you now as well. There are well over 60 different characters spanning over 5 generations of Super Smash Bros Games. From Super Mario to Princess Zelda, Bayonetta to Ryu, Every single character that has appeared in a Smash Bros game is back! Masahiro Sakurai also went above and beyond the call of duty to bring in Ridley from the Metroid series. Super Smash Bros Ultimate really is the Ultimate version of Super Smash Bros. Anyway, enough of me rambling away, you guys want to see some artwork. So feast your eyes on the wonderment below that is every character that will be appearing in Super Smash Bros Ultimate. Note: We are aware that Palutena is not a high-res image. We are still trying to find the original image for her. 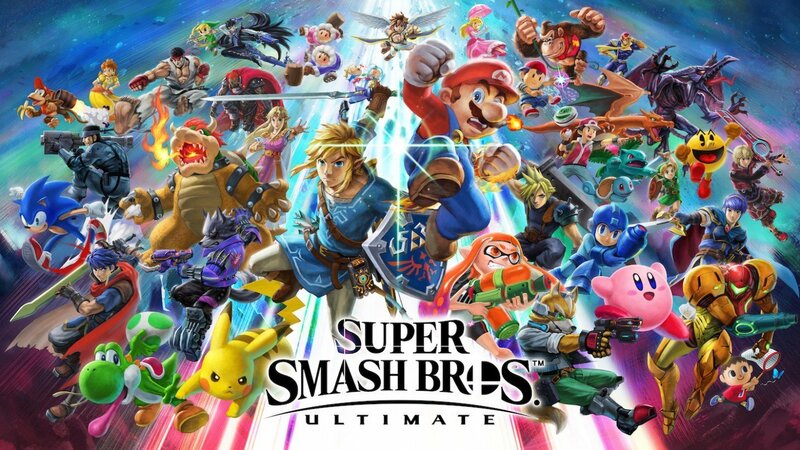 Categorised in: Announcement, Gallery, Mike Scorpio, News, Nintendo, Nintendo Switch, Super Smash Bros Ultimate, Super Smash Bros.
Shulk is missing. Also Palutena is really low-res. The rest are great though! Thanks for letting us know. Some characters were not included with the new artwork. I shall add her as soon as possible.